An induction coil ICS101 was buried. 20 meters away from it a netbook with SpectrumLab records and analyzes the signals. A car battery powers both the netbook that the coil via coaxial cables. In 1976, Polyakov (1976) predicted the existence of ionospheric Alfvén resonator (IAR), equivalent to the ionospheric waveguide, but operating in vertical direction with shear Alfvén waves. 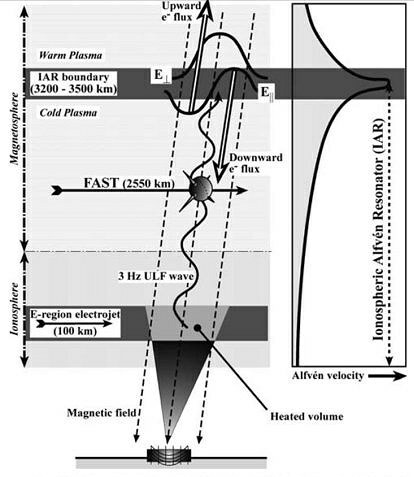 According to the theory, further developed by Polyakov and Rapoport (1981), waves can be trapped between two altitudes characterized by large Alfvén velocity gradients: the lower limit occurs at ionospheric F-layer, the upper limit at about 3000 km. For a review, see, e.g., Lysak (1993). The so-called spectral resonance structures (SRS) discovered by Belyaev et al. (1989, 1990) are considered to be an evidence for IAR. 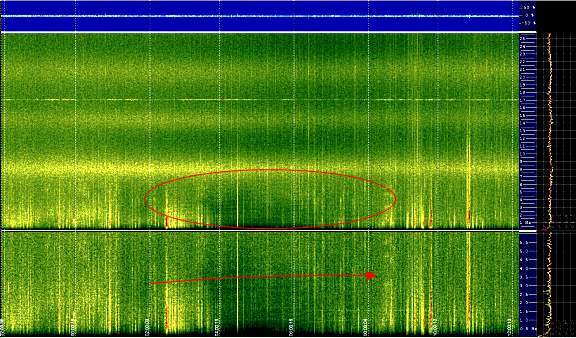 They are thought to form within the IAR from electromagnetic emissions of lightning charges, just like the Schumann resonances. 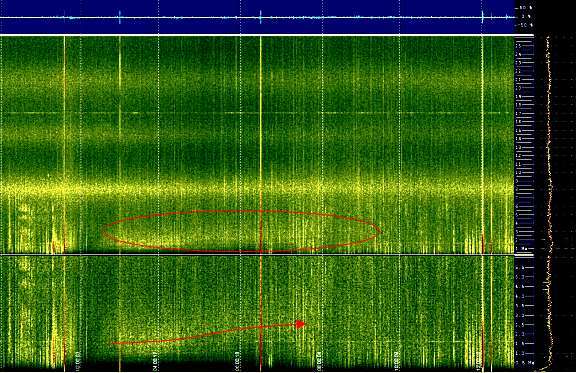 Up to fifteen bands can be observed, from the 1-2 Hz (Pc1 range) to well above the second Schumann resonance frequency at 14 Hz. After the original finding of SRS at mid-latitudes, they have now been observed also at high-latitudes (Belyaev et al., 1998;). 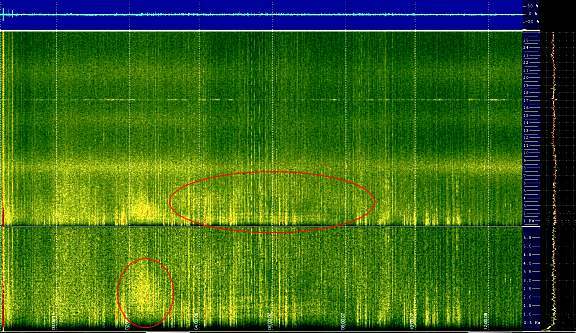 On the base of these emissions at so low frequencies is the physical principle used by HAARP, at the time when it was active: a beam RF invested the ionosphere through the Alfven region and a very low frequency electromagnetic emission, downward oriented, was "the answer". The image on side illustrates this process. 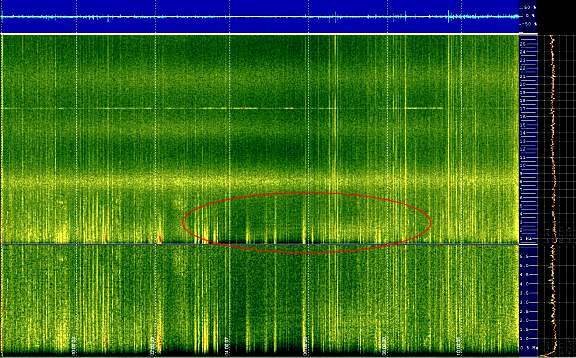 The High Frequency Active Auroral Research Program (HAARP), located in Gakona, Alaska, United States, was an ionospheric research program jointly funded by the U.S. Air Force, the U.S. Navy, the University of Alaska, and the Defense Advanced Research Projects Agency. Active since 1993 it has been turned off in early May 2013. 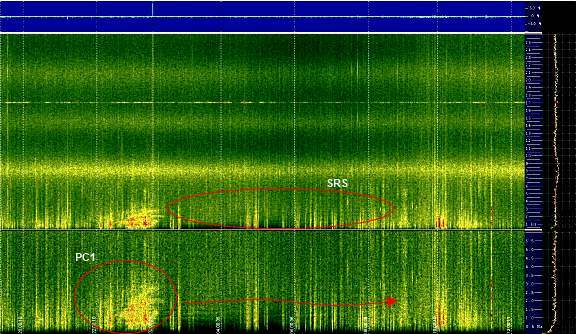 Here, in a natural process, the stimulus comes from lightning strikes and the SRS are the end result. Here's to follow the signals gallery with some data and comments. 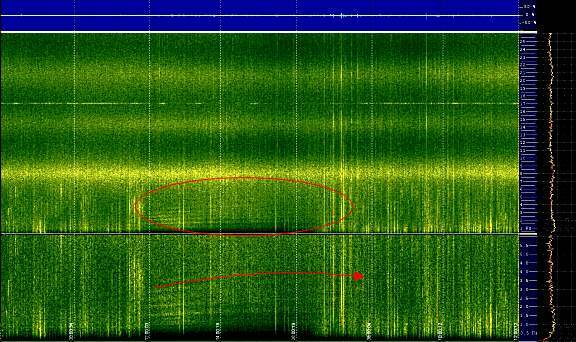 The arrow below indicates their evolution in frequency. In this case we can see only the rising part of SRS. It seems that the Alfven have flattened all of a sudden. It 'possible that the conformation of the magnetospheric tail is changed in relation to a solar CME. Alfven resonances are highlighted by earth electrostatic lightning discharge and are part of the Earth's magnetospheric tail togheter with ionospheric ducts. Also a weak and unstable tone at 1.6 Hz of unknown origin. 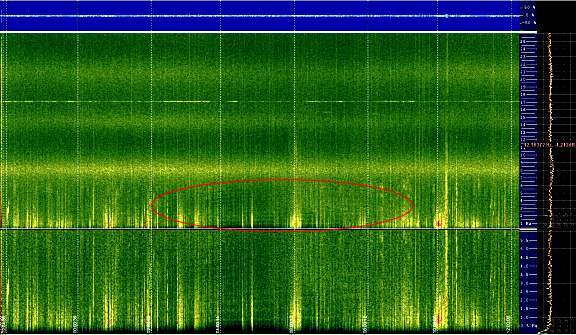 During this night the coil received a geomagnetic pulsation (PC1) . It was one of the few recorded in 2014. 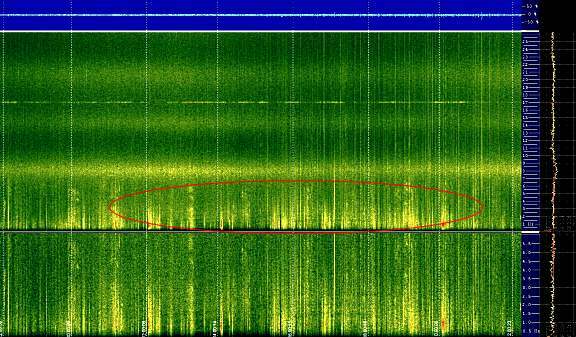 (Red spot on the lower left) from 0.1 Hz to about 4 Hz. Alfvèn Resonances also present. Still a trace of another PC1 (?) , this time very weak compared to the yesterday's one . 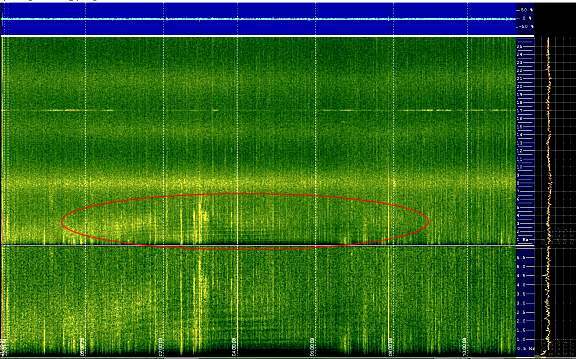 Weak but clear evidence of SRS below 1st Schumann resonance. 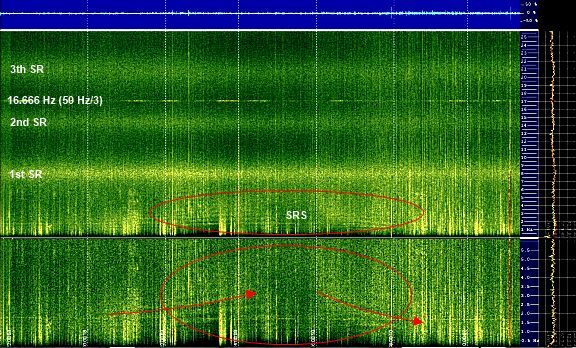 Reception with more impulsive interference but the SRS are still evident.